According to Foxbusiness.com, FEMA estimates that the cost of damage from just one inch of water can exceed $20,000 in a home. In the coastal parts of Texas, rainfall from Hurricane Harvey reached an incredible 50 inches in some areas before the storm completely cleared from that region. And, not long after, Irma inundated parts of Florida, Georgia and Alabama. According to Redcross.com, more than 80 tractor-trailer loads of beds, blankets, ready-to-eat meals, comfort kits, kitchen supplies and cleaning supplies are now on the ground in Texas. The Red Cross has shelter supplies for more than 34,000 people, with additional supplies for 18,000 people in route. A natural disaster does not guarantee mortgage or other financial relief. Each policy holder is treated on a case-by-case basis. When it comes to the physical structure of your house, federal flood insurance policies top out at $250,000. If you have a $300,000 house it’ll be claimed as a total loss. The most you can regain through the program is $250,000 to cover the costs of the structure itself. For your personal possessions, the cap is $100,000 under the federal flood insurance program. The typical home insurance policy doesn’t cover earthquakes or floods. A homeowner wanting coverage for those types of disasters will need to think ahead and purchase separate individual coverage. If you want flood insurance, there is usually a standard 30-day or longer waiting period between when you buy the coverage and when your policy kicks in. 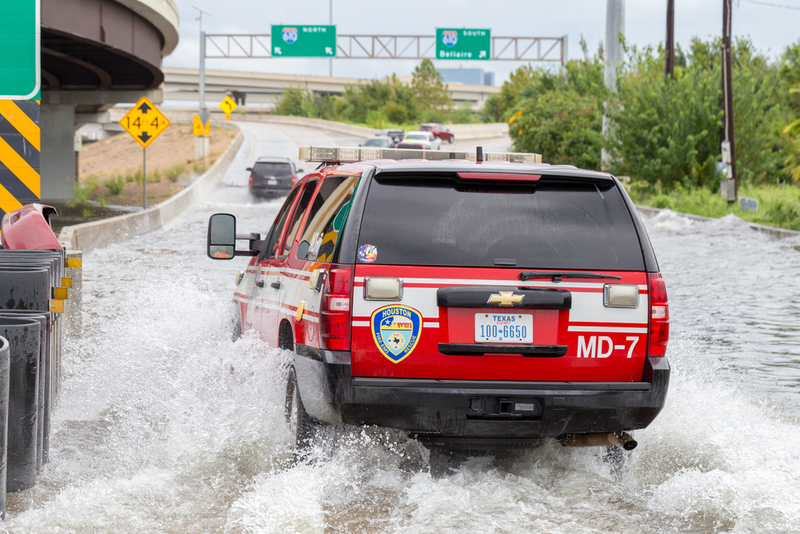 If you’re wondering where to go, you might consider a policy offered through the government’s National Flood Insurance Program. After a hurricane is approaching your living area, it’s too late to get a flood policy. If you’re a victim of recent hurricanes, we know you’re stressed right now. We found an easy way you can ease your mind about how to manage future flood risks in the future online. FloodSmart.gov allows you to put in your address and see if it’s in a flood plain, and will give you information on potential risks, premiums and agents based upon your entered location.